As a part of Uptownscottsdale.com commitment to your privacy, we adhere and support to the practices and guidelines adopted by the DMA’s (Direct Marketing Association) promise of privacy to American consumers. We provide our visitors a notice of their ability to “opt out” of information sale, rental, or exchange with other marketers, we honor our visitors requests not to share their personal information with other marketers, and honor the requests of our visitors not to receive telephone, mail, or other solicitations from Uptownscottsdale.com. Acceptance. Accessing or otherwise using this Website constitutes acceptance of the terms of this Agreement by User and by parties on whose behalf or for whose benefit User accesses or otherwise uses this Website (“User’s Principals”). User represents and warrants that he or she is authorized to enter into this Agreement and bind User’s Principals to the terms of this Agreement. Unless otherwise specified, references to “User” in this Agreement shall be construed to also refer to User’s Principals. Periodically we will send electronic mail in the form of Newsletters, special announcements and so forth to all email addresses that you submit from “any” area within the website such as Tell a Friend, E-Cards, Scottsdale Newsletter or any other section within the website. By using any section within the website where you provide your email address or provide email addresses of others you and the email addresses you provide are agreeing to receive these periodic emails. Any correspondence that we may have with you or with the other email addresses you provide will contain the option to opt out of receiving future correspondence. 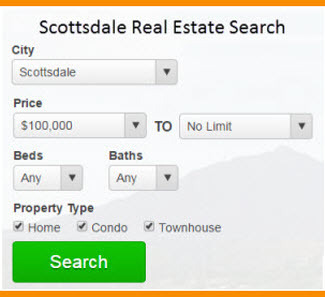 Uptownscottsdale.com uses the personal information you provide to us for internal purposes, like confirming an entry for a contest, analyzing statistics and trends, informing you about upcoming events, new services, offers, tracking your order, and so forth. Uptownscottsdale.com may establish business relationships with other entities or persons whom we deem trustworthy and adhere to the same privacy policies as we do. These relationships are known as our Select Partners, in which from time to time we may share information such as personal information about you that will allow our Select Partners to contact you regarding services and products that you may be interested in. In order to provide you with better service, Uptownscottsdale.com may combine personal information you give us online, in promotions or at special events. 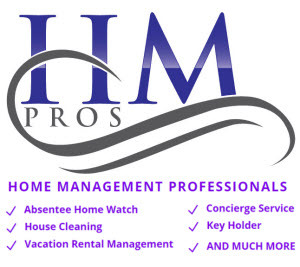 We use that information to enhance your experience with us, and as a means to communicate with you by email or mail about our services, products, and or offers that may be of interest you. In certain instances, although unlikely Uptownscottsdale.com may disclose your personal information when we have reason to believe it is necessary to contact, identify, or bring legal action against entities or persons who may be causing injury to Uptownscottsdale.com, you, or to others. Also, Uptownscottsdale.com may disclose your personal information when we believe that the law requires us to do so. Editing, Updating, Correcting and Deleting Information about You, Uptownscottsdale.com wants to communicate with you only if you want to hear from us. If your preference is to not receive information from us please un-subscribe from our mailing list by clicking on the appropriate un-subscribe link. We make every attempt to honor your request to not receive information from us, although your request may take several weeks to be effective, especially if we are removing your information from postal mailings. Additionally, when you purchase a product or service from us online we may need to contact you via email, mail, or by phone to address specific questions about your order, even if you have elected not to receive communications. Please keep in mind that if you delete certain information, you may not be able to purchase products or services, or access other portions of the Uptownscottsdale.com website without entering additional required information. Changes to Website; Limitation of Availability. NMG may modify or discontinue any aspect or feature of this Website, including its content, functionality, hours of availability, registration requirements, the domain name addresses through which this Website is accessible, or the equipment needed for its use, at any time and for any reason in the sole discretion of NMG. The availability of this Website is subject to periodic downtime for maintenance and repairs and is subject to interruption due to causes beyond NMG’s control including failure of telecommunication links and failure of Internet infrastructure. User acknowledges and agrees that NMG shall not be responsible for any interruptions of the availability of this Website. Limitations; Termination. Users who have accepted this Agreement are granted permission to use this Website for its intended purposes subject to the terms of this Agreement. Use of certain components of this Website may be subject to additional terms. To the extent that such additional terms provide for additional limitations or restrictions on use of this Website, such limitations and restrictions shall be in addition to those provided under this Agreement. Certain sections of this Website may be restricted in which event use of those sections is prohibited unless specific permission to access those sections is given by NMG. User agrees to comply with this Agreement as it may be modified from time to time as set forth below. User also agrees to comply with all applicable laws in connection with his or her use of this Website. NMG may revoke User’s permission to use all or any part of this Website at any time for any reason in the sole discretion of NMG. User’s permission to use this Website shall automatically terminate in the event that User violates this Agreement. Children that are under the age of 13 should always ask the permission of their parents or guardians before providing any personal information online to anyone. Uptownscottsdale.com urges parents and guardians to participate in their children’s online activities and use parental control, or other Internet filtering technology in order to properly supervise children’s access to the World Wide Web. NMG takes what it believes to be reasonable measures to ensure the security of information provided by or on behalf of User in connection with this Website but NMG cannot guarantee such security, and NMG shall not be responsible for a compromise of User information. User is responsible for maintaining the security of any passwords or other access keys provided to User for any restricted portions of this Website. NMG has no obligation to store or maintain any information provided by or on behalf of User. Any information collected by NMG will be subject to NMG’s privacy policies as they may be modified from time to time. You agree to defend, indemnify, and hold Navin Media Group and Uptownscottsdale.com’s affiliate companies, employees, directors, officers, agents, material or communication providers, and Internet Service Providers harmless from any and all losses, liabilities, claims, expenses, and damage awards, including, but not limited to attorneys’ fees, that arise from any claim, action, or demand, by use of or in connection with the submission, transmission, posting, broadcast, or other communication with or to the web site. The web site may hyperlink to sites not maintained or related to Uptownscottsdale.com. Hyperlinks are provided as a convenience/service to you and are not affiliated with or sponsored by the web site or Uptownscottsdale.com. We have not reviewed any or all of the sites hyperlinked to or from this web site and are not responsible for the content of any other web sites. The links are to be accessed at your own risk, and we make no representations or warranties about the content, completeness, or accuracy of these links or the web sites these hyperlinks point to. Choice of Law and Forum; Attorneys Fees. This Agreement is governed by the laws of the State of Arizona. User hereby expressly consents and agrees to non-exclusive jurisdiction and venue in Maricopa County, Arizona with respect to any litigation arising out of or relating to this Agreement. In the event NMG is required to incur any attorneys’ fees or other expenses in connection with enforcing or defending its rights under this Agreement with respect to User, User shall reimburse NMG for such attorneys’ fees and expenses. Copyright 2017 Navin Media Group. All Rights Reserved. www.Uptownscottsdale.com is a wholly owned subsidiary of Navin Media Group No part of this web-site may be reproduced, downloaded, linked or otherwise used without the express written permission of Navin Media Group This site was registered with the United States Copyright Office and any use of any material on this site for any purpose without the express written permission of Navin Media Group is subject to a Punitive Damage claim of up to $100,000. Any and all violations of this copyright shall be prosecuted to the fullest extent of the law. Navin Media Group and Uptownscottsdale.com do not represent or endorse the accuracy or reliability of any of the information, content or advertisements (collectively, the “Materials”) contained on, distributed through, or linked, downloaded or accessed from any of the services contained on this website (the “Service”), nor the quality of any products, information or other materials displayed, purchased, or obtained by you as a result of an advertisement or any other information or offer in or in connection with the Service (the “Products”) and expressly disclaims liability for errors and omissions any and all contents. You hereby acknowledge that any reliance upon any Materials shall be at your sole risk. Navin Media Group and Uptownscottsdale.com reserve the right, in its sole discretion and without any obligation, to make improvements to, or correct any error or omissions in any portion of the Service or the Materials. All information and data on this website is subject to change without notice. No warranty of any kind, express or implied, including but not limited to the warranties of non-infringement of third party rights, title, merchantability, fitness for a particular purpose and freedom from computer virus, is given with respect to this website or its links to other websites. Navin Media Group and Uptownscottsdale.com are not liable for any direct, indirect, incidental, consequential or punitive damages arising out of access to or use of the site, or any other sites to which it is linked. Links provided on this site are done so as a convenience and the inclusion of the link does not imply that Navin Media Group and Uptownscottsdale.com endorses or accepts any responsibility for the content on or within any link herein. Restrictions. User acknowledges and agrees that this Website’s content (i.e., data, information, graphics, etc. ), design, code, underlying technology and related information are proprietary to NMG (or its licensors and vendors if applicable) and protected by U.S. and international copyright laws, trade secret laws, trademark laws and other laws. The posting of information or materials on this Website by NMG does not constitute a waiver of any right in such information and materials. This Agreement does not provide User with any right or interest in NMG’s proprietary rights related to this Website or otherwise, and all such rights shall continue to be owned by NMG (or its licensors or vendors if applicable). Except to the extent express written permission is given by NMG, User shall not copy, reproduce or otherwise duplicate this Website, in whole or in part, and shall not access or attempt to access any of NMG’s systems, programs, data or other information or content that is not made available for public use, or use any information on this Website other than for its intended purpose. Permission is hereby given to User to view, print or download information on this site that is made available for public viewing, printing or downloading, for User’s own internal use and not for republication, distribution, sale, transfer, preparation of derivative works or other use. Data mining, harvesting or similar collection of email addresses or other information on this Website is prohibited. NMG reserves the right to disapprove any links to this Website, in which event such links shall be immediately removed. 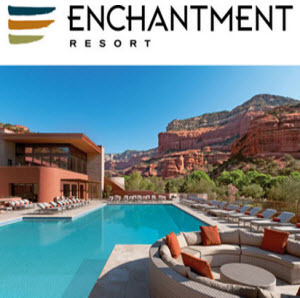 If User believes that any content or other aspects of this Website infringe on or otherwise violate the rights of others, User should provide notice to NMG via email at the following address: admin@uptownscottsdale.com, in which event NMG will determine whether to investigate the matter further. Integration. This Agreement reflects the entire agreement of the parties relating to the subject matter hereof. Oral statements shall be of no binding effect. This Agreement shall control over any conflicting documents or information, including information on this Website, and shall be the sole source of any obligations of NMG. Interpretation. The terms of this Agreement constitute the mutual agreement of the parties and shall be construed neutrally and not for or against any party. When used in this Agreement, the terms “include” or “including” means “including but not limited to.” The headings in this Agreement are inserted for convenience; the provisions of this Agreement shall control. DISCLAIMER OF LIABILITY. NEITHER NMG NOR ANY OF ITS AFFILIATES, LICENSORS, PARTNERS, MANAGERS, SHAREHOLDERS, MEMBERS, DIRECTORS, OFFICERS, EMPLOYEES OR OTHER AGENTS SHALL HAVE ANY LIABILITY TO ANY USER OR THEIR PRINCIPALS AND AGENTS FOR ANY DAMAGES, WHETHER GENERAL, SPECIAL, DIRECT, INDIRECT, INCIDENTAL OR CONSEQUENTIAL, INCLUDING ANY LOST PROFITS OR LOST SAVINGS, WHETHER OR NOT FORESEEABLE AND WHETHER BASED ON CONTRACT, TORT OR STATUTE. USER EXPRESSLY ACKNOWLEDGES AND AGREES THAT NMG IS PROVIDING ACCESS TO THIS WEBSITE IN RELIANCE ON THE DISCLAIMERS AND LIMITATIONS SET FORTH IN THIS AGREEMENT, AND FURTHER ACKNOWLEDGES AND AGREES THAT SUCH LIMITATIONS ARE REASONABLE. IN NO EVENT SHALL NMG’S LIABILITY TO USER EXCEED THE FEES (IF ANY) ACTUALLY PAID BY USER FOR USE OF THIS WEBSITE.